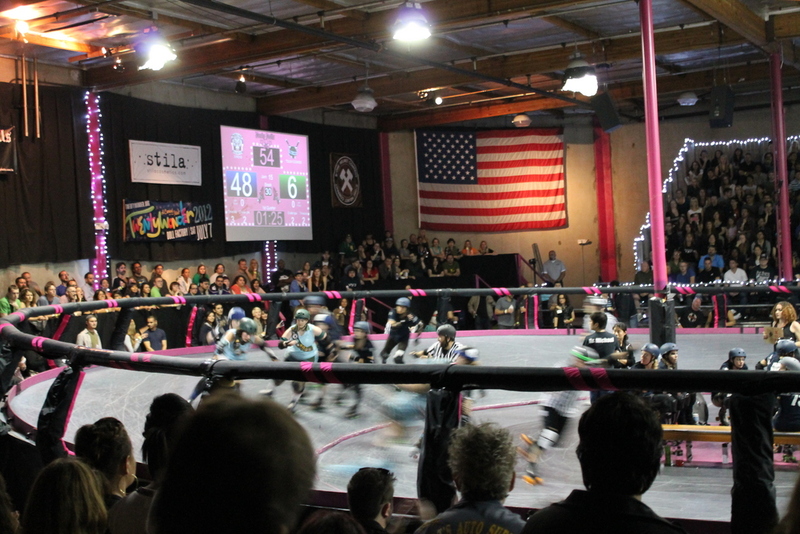 Tonight was time to go back to the Doll Factory in Los Angeles to see another L.A. Derby Dolls match. This was our third time going, and we’ve enjoyed it every time. Like last time, the game was a bit of a blowout. But it was still a fun time. We got some drinks and then dinner from the Mesohungry truck again. And I got a cookie from Freshly-Baked. It was quite good, and I know my cookies. Lucinda tried it and then she and London went back and they both got the ice cream sandwiches from them. As I said, their cookies are quite good. 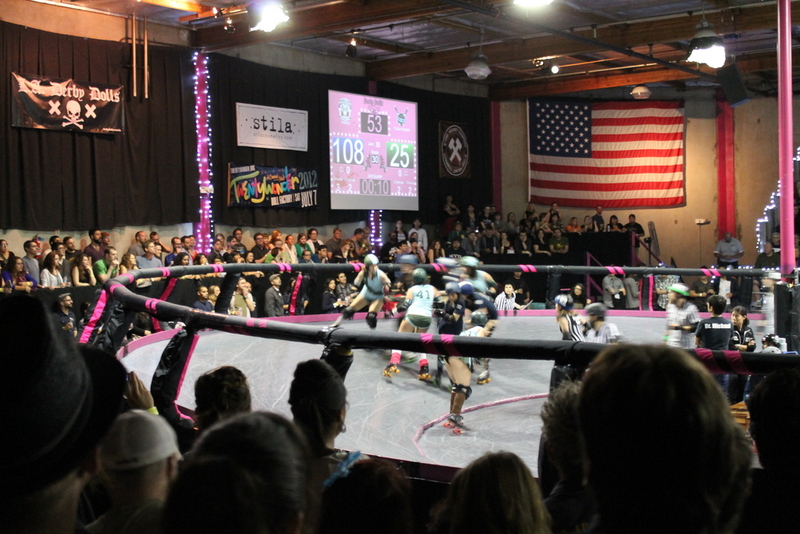 The game was entertaining to watch, although next time I’m bringing real earplugs. The wadded-up bar napkins just didn’t quite cut it. Still, it was a very fun night. I recommend it highly.